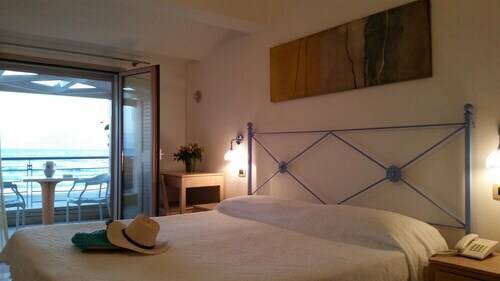 Located in Marina di Ragusa, this beachfront hotel is next to a golf course and within 3 mi (5 km) of Tourist Port Marina di Ragusa, Marina di Ragusa Beach, and Via del Mare. Piazza Duca degli Abruzzi is 2.4 mi (3.9 km) away. 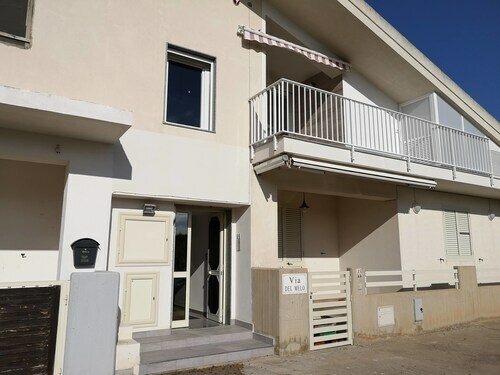 Situated near the beach, this apartment building is within 6 mi (10 km) of Tourist Port Marina di Ragusa, Marina di Ragusa Beach, and Via del Mare. Irminio River Nature Reserve and Archeological Park of Kamarina are also within 9 mi (15 km). Nestled on the beach, this Santa Croce Camerina campground is within 9 mi (15 km) of Archeological Park of Kamarina, Marina di Ragusa Beach, and Tourist Port Marina di Ragusa. Scoglitti Marina and Irminio River Nature Reserve are also within 9 mi (15 km). 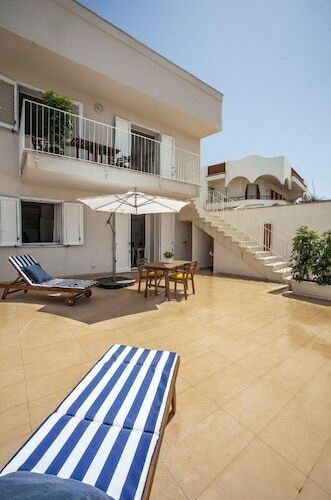 Situated in Marina di Ragusa, this apartment building is within 3 mi (5 km) of Tourist Port Marina di Ragusa, Marina di Ragusa Beach, and Piazza Duca degli Abruzzi. Via del Mare is 2 mi (3.3 km) away. How Much is a Hotel Room in Santa Croce Camerina? Hotels in Santa Croce Camerina start at $58 per night. Prices and availability subject to change. Additional terms may apply. 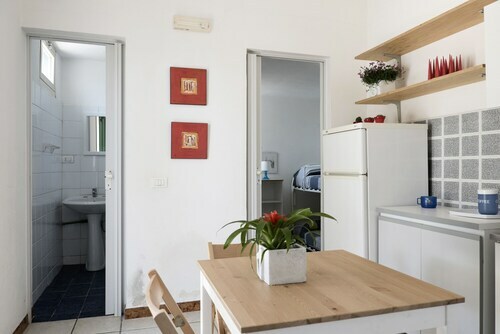 If you are thinking about taking a vacation in the Ragusa area and need a place to stay in Santa Croce Camerina, you have an impressive range to browse. Travelocity's comprehensive hotel guide shows 44 places to stay within a 6-mile (10-kilometer) radius of downtown Santa Croce Camerina. Travelocity-listed hotels that you can discover within a stone's throw of Santa Croce Camerina's downtown, are the Casa Vacanza Gli Ulivi and BuenaOnda B&B. 14 miles (22 kilometers) away from the town center of Santa Croce Camerina, you will come across the Monoresort. Alternatively, the La Moresca is about 3 miles (5 kilometers) away. Some other possible hotels include the Hotel Eremo della Giubiliana and the Antica Badia Relais. Why not spread your wings and check out the other attractions to be found in Sicily while you're here? Photographers will love Sicily's rural landscapes and beaches. On top of that, visit a selection of the area's ruins. Common activities in this region of Italy include snowboarding. Still looking for things to do? Spend a few hours checking out Coast Wagon Beach and Sampieri Beach, in Scicli, 11 miles (17 kilometers) to the east of Santa Croce Camerina. The Novecento Scicli and Casa di Pam are just a handful of the Travelocity accommodation alternatives in Scicli. 17 miles (28 kilometers) to the east of Santa Croce Camerina, you'll find Modica, which is home to the Torre Don Virgilio Country Hotel and Pietre Nere Resort. The Church of San Pietro and Castello dei Conti are more frequented points of interest to discover while in Modica. If you are curious about sport and enjoy the thrill of matches you might like to stop by Angelo Massimino Stadium, found 55 miles (92 kilometers) to the northeast of Santa Croce Camerina. Travelocity users that enjoy the ease of staying in the area, reserve a room in the Romano Palace Luxury Hotel or Liberty Hotel. Travelocity's comprehensive travel guide is also an excellent way to learn more about Santa Croce Camerina.